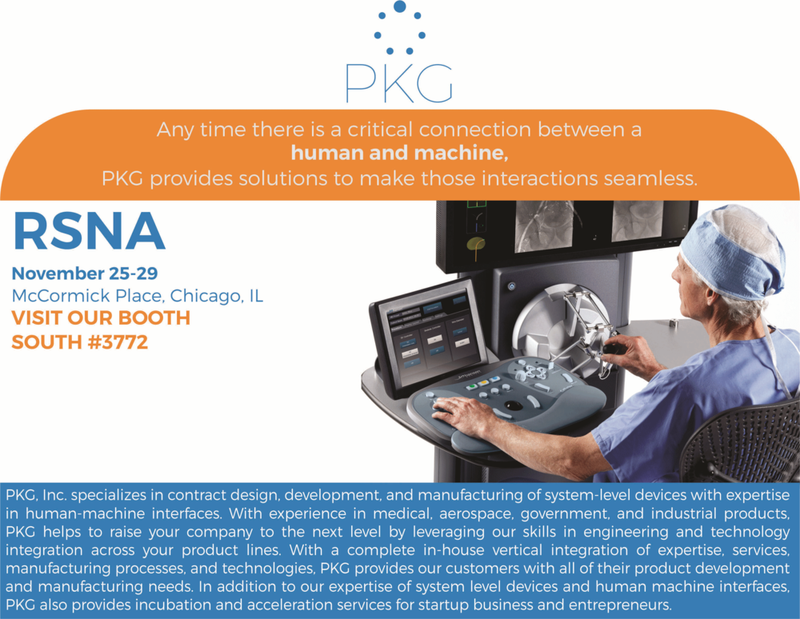 Please join PKG at Booth # 3772 South, McCormick Place in Chicago, IL from November 26 - 29, 2018 during the annual RSNA Exhibition. PKG will be presenting new technologies and manufacturing methods developed by our engineers to save time and cost for our end customers. We will have expert staff on site, so bring your questions and we'll be sure to have answers. We look forward to speaking with you.